-Sunglasses pocket with attached chamois, ID holder, pen pockets, travel document pockets and more! You can carry your cell phone, tablet, digital camera, wallet, keys - all of your gadgets and essentials - without looking bulky thanks to our NoBulge pocket design. Plus, our Weight Management System helps to balance the load to keep you comfortable. 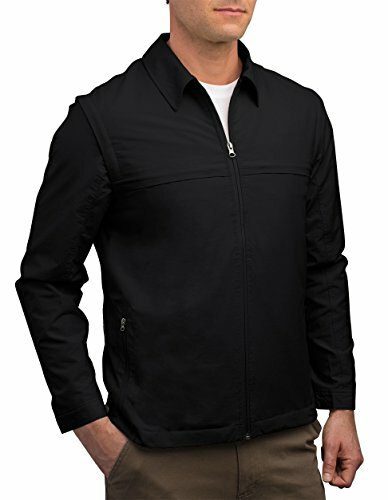 The cotton blend jacket is also Teflon treated for water and stain resistance - a good thing since it's so versatile that you can wear it on the golf course and then out for a nice dinner.